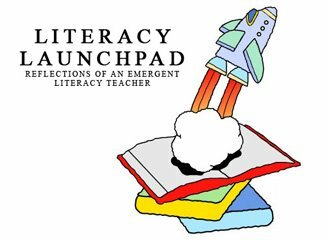 Literacy Launchpad: How To Lead an Adventurous Storytime! Anybody is capable of taking their child/student/niece/nephew/grandchild/etc. on an imaginary adventure. Just pull out at great book to read with them - the book does all the work for you! But don't stop at simply reading them the story; be sure you play with the story afterward. For example, here are a couple adventures we went on in March. 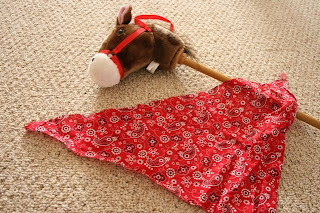 Another example: last week we read a story about "cowpokes;" then we dressed up in cowboy bandanas and rode a stick horse while we pretended to do cowboy things! Keep your read-aloud full of energy and enthusiasm. You can't expect them to get excited about it if you're not. Don't be afraid to be silly. They're kids - they'll love it! Silliness can draw even the most reluctant participant into the story and play. Use voices. This can be anything from reading each character's part in the story in a unique voice, to using a special accent (appropriate to the story and/or adventure). Use props. They can be simple or elaborate. Just use what you've got. If you tell the kids the box is a spaceship, they'll go with it! Commit to the part. If your storytime is interrupted by the dryer buzzer going off either ignore it, or blast your spaceship over to the laundry room and get the other astronauts to help you sort laundry in space! Don't forget your adventure, even after it's over! If you visit the museum and see a space exhibit, say, "Remember when we were astronauts last week? We went to the moon just like them!" Special adventures like these are sure to be the kind of things your kids will remember for years to come. And you'll be growing and stretching their minds and imaginations! Bonus!